Includes attached crystal base and fitted satin-lined gift box. The perfect personalized gift for couples, family members, friends, retirees, babies, weddings, memory keepsakes, graduations, anniversaries, birthdays and more. 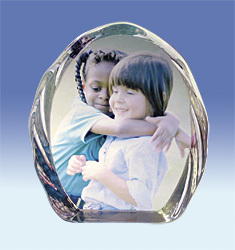 The multi-faceted raindrop shaped photo Crystal stands out from the crowd, ideal for portrait oriented photos. To order, add this one to your shopping cart and finish the check out process, get your confired order number and then Email your photo to sales@cubecrystal.com and include your photoframesplus order number and include and special instructions and/or aditional comments. A follow up call or email is recommended. 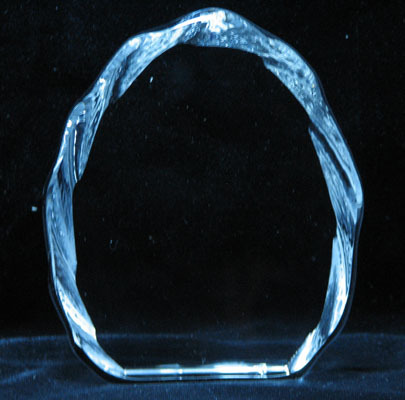 Photo’s Requirement: The better quality your photo is, the better the end result on your crystal. 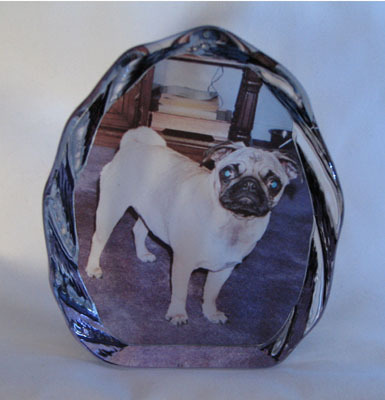 Generally, to make an affective photo crystal, your image should be larger than the crystal it will be infused into. Generally we require 300dpi to 600dpi resolution. Keep in mind the orientation of your crystal- does your chosen photo match the landscape or portrait direction of your crystal? The easiest file extensions to work with are .jpg or .png, although we can work with other file formats, simply contact us to find out. Normally the best photos are ones with contrasting backgrounds and subjects (i.e. light background and dark subject and vice versa), as well as having uncluttered backgrounds. Our professional team can assist you with manipulating photos, or bringing smaller photos up to specifications. Additional work may attract a charge.